The sewing machine market is a diverse one. Some require basic machines for doing basic sewing work at home while others’ require advanced machines for doing large scale, technical sewing works. 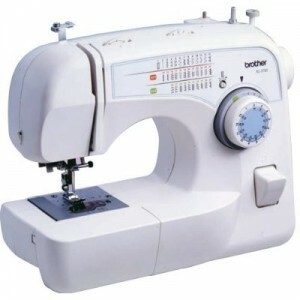 Sewing machines are not just used in homes or for sewing clothes but these are also used in big industries like leather. Shoes are sewed with the help of big industrial grade sewing machines. Here we are presenting you with an overview of the best known sewing machine brands currently available in the market. Brother International is one of the leading manufacturers of sewing machines in world with a market share of 29 percent in home sewing machine segment. Brother’s sewing machines are known to be high tech, efficient & easy to use. They offer a combination of basic & high end sewing & embroidering machines. For under $1000 Brother sells a Disney Winnie the Pooh Embroidery Machine that comes with trademarked embroidery patterns that you can use on your personal fabrics. It is the leading brand of sewing machine with more than 43 percent of market share. It offers a variety of models keeping in mind the whole range of sewing machine users from beginners to experienced. 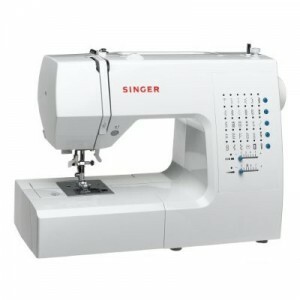 All types of sewing machines are available under the Singer brand. Whether basic mechanical sewing machines or high tech computerised ones- all these can be found at a Singer shop. Singer also offers commercial grade machines which has a motor 60 percent powerful than a standard machine. Other features of Singer commercial grade machines include a sewing speed of 1100 stitches per minute. Singer sewing machines are available at specialty stores, mass merchants including Target, Walmart, Kmart, and other national & international retailers. Janome America is one of the top manufacturers of top of the line, high tech sewing machines. 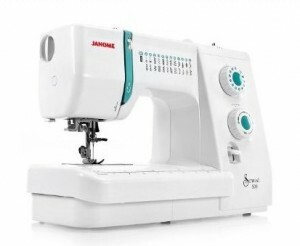 The Janome models are basically computerized sewing machines which can perform both basic & advanced sewing works. Its most advanced computerized sewing and embroidery machine till date is the Memory Craft 11000, which has patented stepping-motor technology and computer software. The Memory Craft models are of industrial quality. It is also a leading manufacturer of high end computerized & electronic sewing machines. These sewing machines are developed & manufactured in Sweden. The Designer Diamond series of machines are their latest offerings in the computerized sewing & embroidery machine segment. Husqvarna sewing machines are available today all over the world in many models ranging from beginner’s model to professional’s. Plaff sewing machines are especially known for creating beautiful patterns of embroidery. Plaff offers a great choice of computerized sewing machines. The select line of machines offered by plaff is particularly easy to operate due to incorporation of push button technology. The classic style is a special edition range offered by Plaff which offers great features at extremely affordable price. Kenmore (Sears) is a leading supplier of sewing machines. Kenmore offers a variety of mid- to low-end multifunction models that are available exclusively at Sears and Kmart.